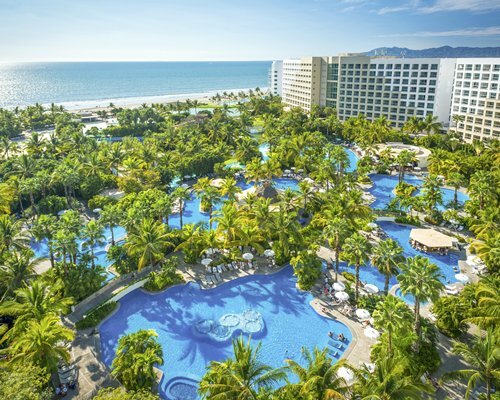 The Grand Mayan at Vidanta Nuevo Vallarta is situated on Banderas Bay, and you can enjoy an ocean view from the restaurant and bar. 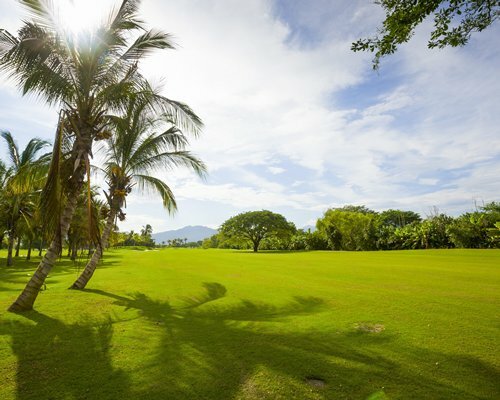 By day, golf enthusiasts can tee off on the world-class 18-hole par 72 golf course. 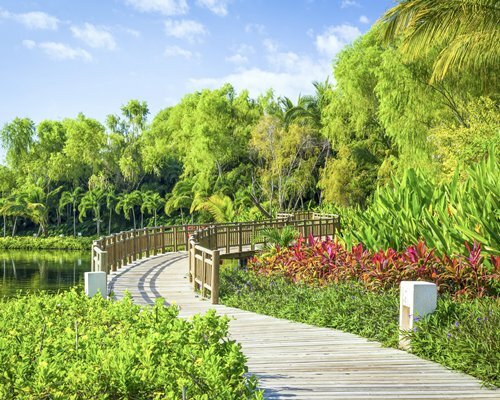 For those who like the slower pace of life, go for a swim, relax on the lazy river, or head to the Brio SPA which offers massages and beauty treatments, sauna and steam room. 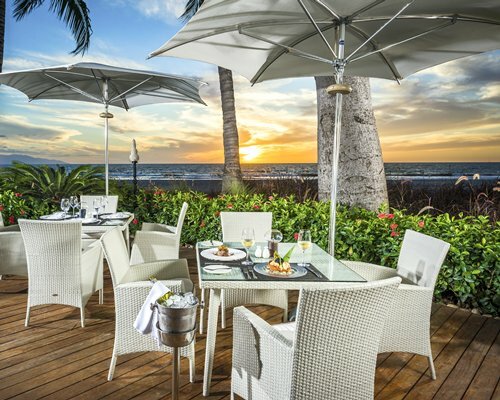 There are several restaurants and bars at the resort, offering a variety of international cuisine. 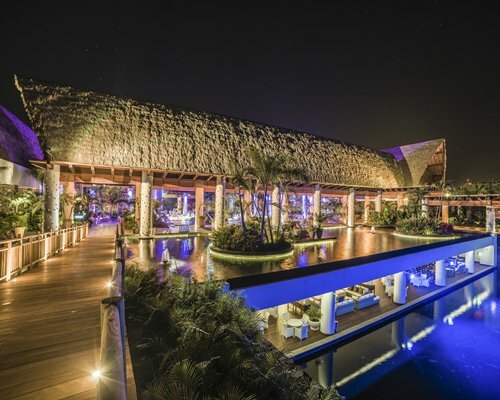 Luxury, comfort and sophistication are hallmarks of The Grand Mayan Resorts, and there is no better place to experience it, than in their rooms. 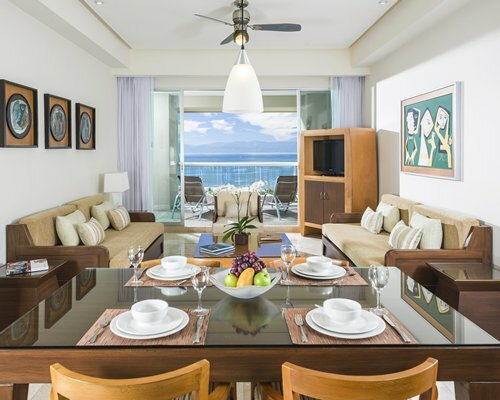 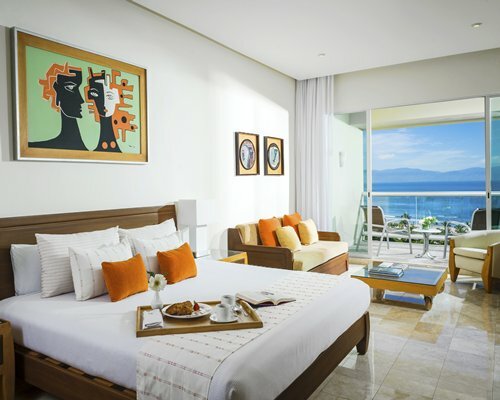 Each room offers breathtaking views of the glistening waters of the Pacific, or of lush tropical gardens. 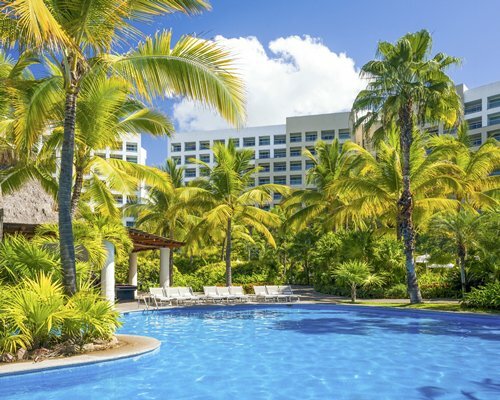 The Grand Mayan Resort offers one and two bedroom units for 5 and up to 8 people, as well as hotel-type units, Hotel units are suitable for 2 adults and up to 2 kids under 12 years old.